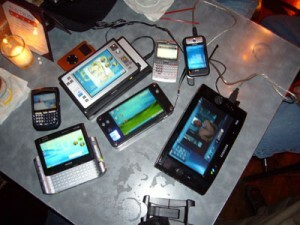 What do you think is the most popular technical gadget in the US? A study by the Pew Research Center shows 85% of American adults own a mobile phone and virtually everyone ages 18 to and 29 — 96% of them — own the device. The study also showed 52% of adult respondents own a laptop, 47% have an MP3 player and 42% own a game console.